Ralph V. Whitworth‘s Relational Investors has disclosed, in a newly amended filing, entering into an agreement with SPX Corporation (NYSE:SPW) for appointing a director to the company’s board. Relational Investors and SPX Corporation (NYSE:SPW) entered into an agreement on January 14 that gives the fund option to appoint David Batchelder, Principal and Co-Founder of Relational, to serve on the Issuer’s Board of Directors (the “Board”) and on its Compensation Committee. The strategic block investment-oriented fund currently owns almost 7.04 million shares of SPX Corporation, which is 15.51% of all outstanding shares. The stake has been upped from 6.8 million shares of the global, multi-industry manufacturer of specialized, engineered solutions firm, earlier in August 2013. Ralph V. Whitworth’s fund may exercise the option after the 2014 annual meeting through 60 days prior to the expiration of the notice period. If Batchelder joins the board, the hedge fund then has an option to request a second director from the fund at the 2015 Annual Meeting. 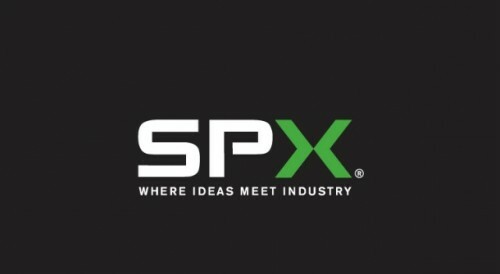 In exchange, Relational Investors have agreed to approve SPX Corporation (NYSE:SPW)’s nominees. SPX and Relational have engaged in a series of productive discussions about our business, capital allocation and long-term prospects,” said Chris Kearney, SPX Chairman, President and CEO. “We have always embraced an open dialogue with and input from our shareholders and are pleased to have reached this agreement with Relational. Our board and management team remain committed to continued operational improvement, generating profitable growth, narrowing our strategic focus around our Flow end markets and disciplined execution of our capital allocation methodology. Relational Investors own more shares of SPX Corporation (NYSE:SPW) than any other fund Insider Monkey tracks. Ken Griffin‘s Citadel Investment Group owns 505,178 shares of the stock, recently upping their stake by more than 100%. Aqr Capital Management, too, is long the stock. Clif Asness‘ fund owns 283,260 shares of the equity.